Screaming “I won it” to his wife Liz, the look on 37-year-old Australian Will Power’s face so filled with emotion. He is a racing driver that wears his emotions on his sleeve, and is well known for flipping a few birds, and it feels good to see him finally win the 500. He’s won damn near everything else in North America’s top flight open-wheel series, but he’s wanted to take home this win since the start of his career. With Roger Penske and the might of Team Penske backing him through 30 series victories, he’s finally taken home the big one. In a race punctuated by big crashes and fires, Power and the Penske brain trust engineered a fuel economy victory that came after a short seven-lap green flag sprint to the finish. With just a handful of laps remaining, Power was back in third, and when Stefan Wilson and Jack Harvey pitted for fuel ahead of him, he inherited the lead and held on for the win. Power had been running quickly in all of the sessions leading up to the race. He won the Indy Grand Prix on the road course a couple weeks ago. When it came to the oval, he was keen on setting his car up to run quickly in clean air, running a number of “no-tow” laps in the 223s—Which is key, because once he made it to the front in the race, he set his personal best lap on lap 199. On bump day he’d made it into the fast nine, and set a time good enough to land him on the outside of the front row in third. Running a conservative race, and aided by typically stellar Penske-perfect pit stops, Power managed to stay out of the mess caused by everyone else. Pole sitter Ed Carpenter ran at the front from the start, running about level pace with last year’s season champion Josef Newgarden. 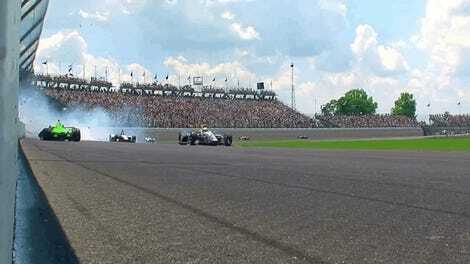 At the mid-race point, other leaders began stepping to the front, and at one point Power led a Penske top three. Shortly after, a group of off-strategy drivers took to the front, leaving the “on-strategy” Penskes shuffled back a bit. When Power did come back to the lead on strategy, he quickly built up a strong lead thanks to his clean-air prowess. It’s possible that is exactly what won him the race. 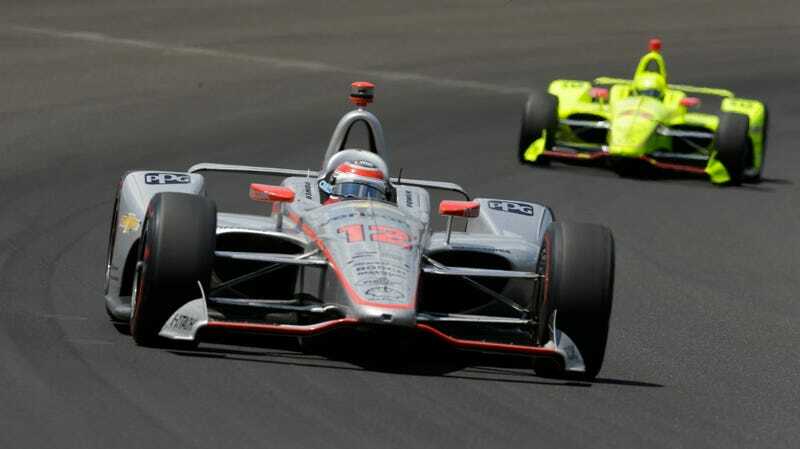 I would be remiss if I didn’t commend Stefan Wilson, brother of Justin #Badass Wilson, for leading the Indy 500 with just a handful of laps remaining. Even though he peeled off to the pits for fuel with five laps remaining, it was a touching enough moment to bring tears to my eyes. Also worth a mention is 2016 Indy 500 winner Alexander Rossi, and his charge from the back of the pack. Having just qualified for the race in 32nd, he had a lot of work to do getting to the front. 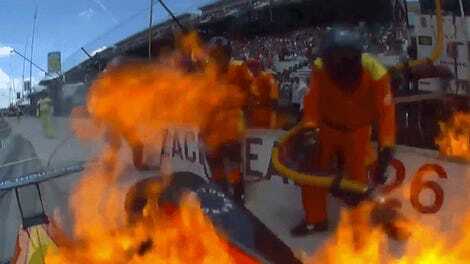 He looked good for the finish, and ended the race in fourth behind Scott Dixon and Ed Carpenter.